Dublin songwriter Ciara Sidine’s debut album Shadow Road Shining is a fine example of a writer taking a genre, in this case Americana (a broad church I’ll admit), and adding some local colour. Here the colour is undoubtedly of a Celtic hue. Aided and abetted by a crew of Irish session players including Steve Wickham (Waterboys, violin) and Justin Carroll (Van Morrison, keyboards) her songs are for the most part warm and comforting, cosseted by Carroll’s Hammond organ while Wickham’s violin adds a folky tilt best heard on the lilting The Arms of Summer. The folk roots are well displayed again on Constellations High where she duets with Jack Lukeman on a maritime tale. The meat of the album however resides in the songs which delve into the American south with the Muscle Shoals sound appearing to be an influence typified by the slow burning keyboards and guitar playing of Connor Brady. Mercy Moon has an earthy feel with churning guitar and even a hint of Fleetwood Mac’s Christine McVie. Hollow the Breeze is less successful in its attempt to capture that southern feel but all is redeemed by Sweet Breath On A Lonesome Flame. Here Sidine succeeds admirably in marrying her folk side to a southern groove, a beautiful song. Word just in that Isakov has added a Scottish date to his tour. He’s playing Brel in Glasgow on June 1st. The Wilders, Classic Grand, Glasgow. 15th May 2011. Kansas City band The Wilders are becoming such frequent visitors to Glasgow that going to see them has become almost akin to popping down to your local to see the resident band on a weekend. This was the fourth time this reviewer has seen them in the space of around 18 months and looking around at the audience there were several others obviously in the same boat. Having said that each show has had its own character with the one constant being the fire and occasional ferocity with which they deliver their set. Their last appearance here was at Celtic Connections playing to around a thousand folk in the Old Fruitmarket. Tonight their audience numbered in the one hundred plus but there was no difference in their approach or delivery and the intimacy of the smaller venue added to the connection that many of the audience have with this fine band. With a new album on the shelves (review following soon) there was a slew of new songs, some of which were previewed at the Celtic Connections show. Having heard the album however one was struck by the impact the live delivery has with a song like L.A., a frenzied enough song on the album delivered in a maelstrom with fiddler Betse Ellis in particular screeching like the proverbial devil’s elbow. In fact all of the songs from the new album gained impressively tonight, partly perhaps from only a slight listening to the CD but there is no doubt that the Wilders thrive on the stage. Whether delivering tender folk songs such as singer Ike Sheldon’s acclaimed Hi Little Darlin’ and the new album’s bitter sweet This Old Town, the honky tonk reveries penned by Phil Wade or the muscular roots rock from bassist Nate Gawron the difference is akin to that of seeing a favourite movie in high definition for the first time. Spectacular. 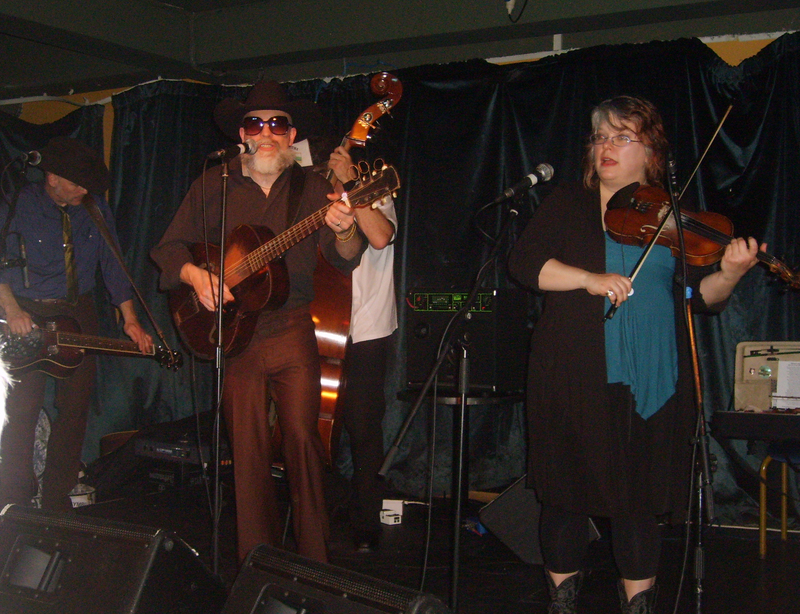 Highlights of the show included an inspired rendition of My Final Plea where the band conjured up the ghost of Hank Williams and several “shitkickin” (Ike’s description) hoedowns including their always crowd pleasing Keep my Skillet Good and Greasy. 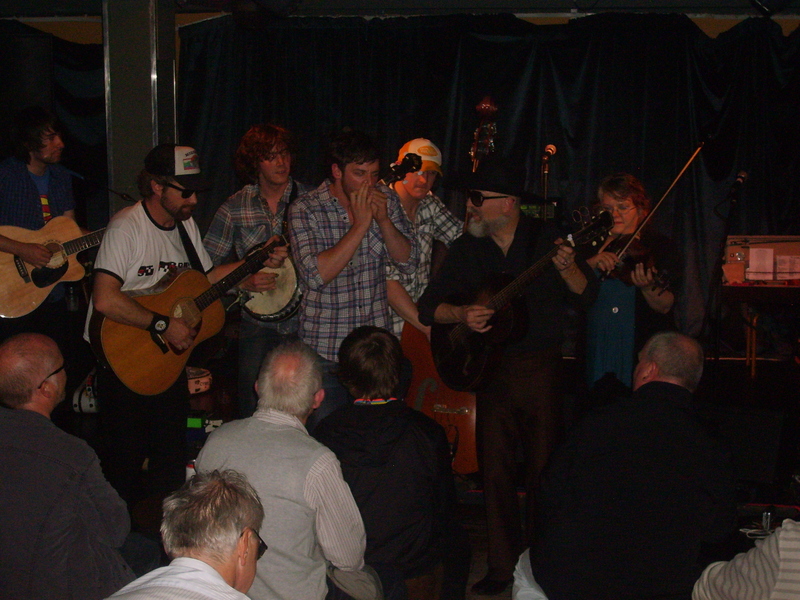 To encore The Wilders invited the support band, The Dirty Beggars, a fine young crew from Peebles who played a rousing set earlier, to stand in front of the stage and deliver an Old Crow Medicine show song, Wagon Wheel which ultimately was a fine end to a fine night. 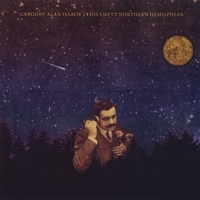 Gregory Alan Isakov. This Empty Northern Hemisphere. We’ve said it before and here we’ll say it again. One of the pleasures of reviewing albums sent from God knows where is that amidst the chaff there is always some wheat. An album that tumbles into our lap unannounced but which has that essence, that pull which reaffirms our belief that music can be transcendental, beautiful, moving. From the moment Dandelion Wine poured from the speakers the ears perked up. A skeletal banjo joins a simple guitar line, mournful and desolate before a string section joins in. Isakov ‘s voice floats over this, warm and comforting before it is joined by his sometime vocal collaborator, Brandi Carlisle. A beautiful song it sets the scene for the remainder of this album which envelops the listener in an aural feast. Isakov cites Iron and Wine, Kelly Joe Phelps and Leonard Cohen as his influences but there are elements galore here of Tim Hardin, Nick Drake and the relatively unknown Hobotalk. Overall there is a sense of melancholy delivered with a resigned air as Isakov sings tales of lonely souls, travellers and lost lovers. His lyrics are rich but cloaked in poetic smoke and mirrors, his voice is for the most part wearied and relaxed and on several of the songs he is accompanied by Carlile who harmonises well. The true beauty of the album however is in the textures of the sound. For an album “recorded in many different locations, a closed down bookshop, my apartment, the studio and our friend Brandi Carlile’s house” there is a fantastic sense of dynamics. The songs ebb and flow with an organic feel and the playing is excellent. While most of the songs rest gently on an acoustic guitar bed the instrumental trimmings, be it piano, vibes, banjo, violin, viola or cello support and at times lift the songs into a sumptuous space that is at times mesmerising. He ends the album with a fine cover of a Leonard Cohen song, One Of Us Cannot Be Wrong where he and Carlile capture perfectly Cohen’s miserabilist approach. Isakov is playing in the UK in June however at present there are no Scottish shows which is a pity. (Edit) Been informed that there is a Glasgow gig at Brel on June 1st. Three fine albums here, take your pick…..
Wiser Time. Beggars and Thieves. First up are New Jersey band Wiser Time with their third release, Beggars and Thieves. Starting off with a rumbling guitar that smacks of Keith Richards’ exiled in the south of France the opening song Love and Devotion fails to live up to the wasted elegance that comprised Exile on Main Street but nonetheless is a fine slice of slide and piano driven boogie that ultimately recalls Little Feat. Main man Carmen Sclafani is obviously in thrall to the early seventies sound of such bands however this is not a retread of tired boogiedom and some of the better moments occur when the band ease back and rock gently with Sclafani dipping into a more mellow mood. Take Me back Home for example has some elements of Steve Stills’ solo work but with a sweet fiddle and mandolin backdrop and some fine guitar work this is a tremendous song. The B3 organ that comes in at the end adds a fine organic feeling and at times this sounds like an American roots version of a Steve Winwood ballad. The following song It’s Hard Letting You Go maintains this quality, a piano based ballad with Lowell George like slide guitar from Jimmy Somma it would fit perfectly on the soundtrack to “Almost Famous.” The album closes with a superb cover of the Bad Company song, Seagull which in our mind is an improvement on the original, less dramatic and enhanced by some very sympathetic percussion and mandolin, basically an encapsulation of the whole album, an affectionate nod to those far away days. 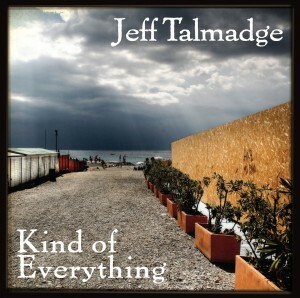 Jeff Talmadge. Kind of Everything. Talmadge was a Texas lawyer who packed it in to become an itinerant musician working very much in the Texan vein with clear routes back to Jerry Jeff Walker and Guy Clark. While he hasn’t produced anything to match the best of either of these two he does provide a winning take on the genre on this, his seventh album. Armed with an attractive vocal delivery, warm but experienced, he spins tales of Texas folk buttressed by a superb line up of musicians that include Pat McInerney on percussion, Fats Kaplin, fiddle and steel guitar Freddy Holm, Dobro, Ray Bonneville, harmonica, Lloyd Maines, pedal steel and Tim O’Brien on mandolin. In fact anyone who likes acoustic albums laced with Dobro, steel guitar, mandolin and fiddle need read no more, just buy this. While there are some upbeat songs including the opening If It wasn’t For the Wind, a David Olney cover and the jaunty Sometimes You Choose Love the meat of the album is in the moodier, darker moments with several that raise the album well above the average. One Spectacular Moon has a romantic yearning to it and features some fine fiddle playing from Kaplin. It’ll Sure be Cold Tonight is a stark tale of homelessness that raises goosepimples. Molly showcases Tim O’Brien’s mandolin on a tale that is straight out of the Townes Van Zandt stylebook. Summer Road is a classic of its sort, elegiac, wide screen nostalgia, this is dusty and vital. Finally He’ll Give Her Back This Town Tonight is a break up song that is delivered in a heartbreaking style with the band excelling on the oh so sympathetic backing, a song that could be destined for late night radio programmers everywhere. Canadian Cam Penner has released several albums that can be considered “confessional.” Tender, despite his occasionally gruff voice his last release Trouble and Mercy was a stripped down affair. Here, despite recording the album in a cabin near the Rockies, he achieves a plush, warm, occasionally funky sound that is dynamic and engaging. Guitars and bass throb and thrum, strings (violin and viola) add to the drama at times and the percussion drives several songs with an almost J. J. Cale like shuffle. The title song unwinds slowly building to a crescendo that is spooky and evil sounding, as most songs with Gypsy in the title seem to do. Ghost Car has a strong pulse beat that drives the song which has a neon lit highway feel to it while the clash and clatter of My Lover & I is the sort of R’n’B shuffle that Ry Cooder has been fond of in the past, there’s a decidedly southern feel to this. The highlight of the album is the opening song Driftwood which starts off with a classic guitar /harmonica part so beloved of Neil Young. Perhaps it’s the title of the song but we find some of The Band’s influence here also as Penner delivers a downbeat tale of a relationship that’s taking some work to keep together. Here Penner and his band deliver a perfectly nuanced folk rock song. An instrumental reprise of the song towards the end of the album supports its claim to be a superior piece of music. The closing song Come As You Are reverts to Penner’s stripped down style with just guitar, piano and voice and is reminiscent of Bill Callaghan’s work in Smog. A fine end to a fine album.